In health research and services, and in many other domains, we note the emergence of large-scale information systems intended for long-term use with multiple users and uses. These e-infrastructures are becoming more widespread and pervasive and, by enabling effective sharing of information and coordination of activities between diverse, dispersed groups, are expected to transform knowledge-based work. Social scientists have sought to analyse the significance of these systems and the processes by which they are created. Much current attention has been drawn to the often-problematic experience of those attempting to establish them. By contrast, this paper is inspired by concerns about the theoretical and methodological weakness of many studies of technology and work organisation—particularly the dominance of relatively short-term, often single site studies of technology implementation. These weaknesses are particularly acute in relation to the analysis of infrastructural technologies. We explore the relevance to such analysis of recent developments in what we call the Biography of Artefacts (BoA) perspective—which emphasises the value of strategic ethnography: theoretically-informed, multi-site and longitudinal studies: We seek to draw insights here from a programme of empirical research into the long-term evolution of corporate e-infrastructures (reflected in current Enterprise Resource Planning systems) and review some new conceptual tools arising from recent research into e-Infrastructures (e-Is). These are particularly relevant to understanding the current and ongoing difficulties encountered in attempts to develop large-scale Health Infrastructures. We acknowledge the support of the UK Economic and Social Research Council for various studies and especially Research Grant [Res 000 23 0466] The Biography and Evolution of Standardised Software Packages, on which this paper primarily draws. The research team was Robin Williams, Neil Pollock, Luciana D’Adderio and Robert Procter. We would particularly like to acknowledge valuable comments provided by Dr Mark Hartswood, University of Edinburgh, School of Informatics, and Dr Sampsa Hyysalo, University of Helsinki, College for Advanced Studies, as well as three anonymous CSCW referees. Ellingsen, G., & Monteiro, E. (2003). A patchwork planet integration and cooperation in hospitals. Computer Supported Cooperative Work, 12(1), pp. 71–95. doi: http://dx.doi.org/10.1023/A:1022469522932. ERP Research Group (2006). ERP Systems and Related Issues Bibliography: 600 Articles’ (updated 5 May 2006), Victoria University Australia. Available online: (accessed 15 May 2007). (http://www.business.vu.edu.au/sap/Research.html#ERP_Systems_and_Related_Issues_Bibliogr). Hepsø, V., Monteiro, E., & Rolland, K. H. (2009). Ecologies of e-Infrastructures. Journal of the Association for Information Systems, Special Issue on e-Infrastructure, 10(5) paper 5, 430–446. http://aisel.aisnet.org/jais/vol10/iss5/. Johnson, C. W. (2010). Case studies in the failure of healthcare information systems, available online at http://www.dcs.gla.ac.uk/~johnson/papers/AHRQ/case_study.pdf. Peltu, M., Eason, K., & Clegg, C. (2008). How a Sociotechnical approach can help NPfIT deliver better NHS patient care, Bayswater Institute: London. Available online at: http://www.bayswaterinst.org/downloads/Sociotech%20Group%20NPfIT%20report%20May08.pdf. Pipek, V., & Wulf, V. (2009). Infrastructuring: toward an integrated perspective on the design and use of information technology. 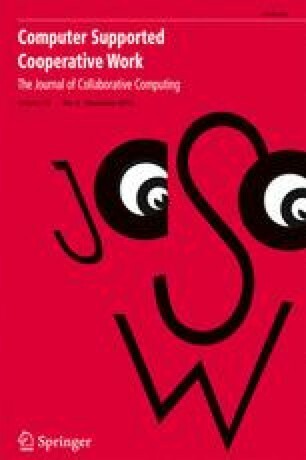 Journal of the Association for Information Systems, Special Issue on e-Infrastructure, 10(5) http://aisel.aisnet.org/jais/vol10/iss5/. Sahay, S., Monteiro, E., & Aanestad, M. (2009). Configurable politics and asymmetric integration: health e-Infrastructures in India. Journal of the Association for Information Systems, Special Issue on e-Infrastructure, 10(5) http://aisel.aisnet.org/jais/vol10/iss5/ article 3, pp. 399–414. Ure, J. R., Procter, N., Lin, Y., Hartswood, M., Anderson, S., Lloyd, S., et al. (2009). The development of data infrastructures for eHealth: a socio-technical perspective. Journal of the Association for Information Systems, Special Issue on e-Infrastructure, 10(5) http://aisel.aisnet.org/jais/vol10/iss5/ article 4, pp. 415–419.